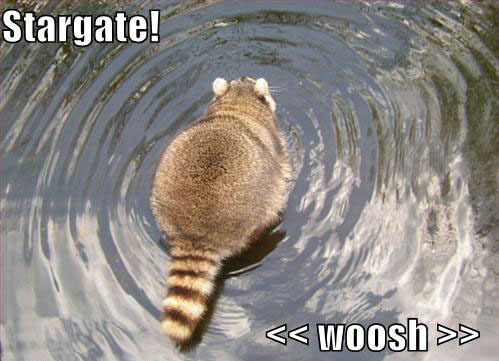 As has been well established, I’m a huge, nonsensical and fanatic devotee of the long cancelled TV show, Stargate SG-1. I tend to re-watch at least one episode every week. It’s a kind of comfort food. Maybe one day I will explain why. I was just re-watching the episode called “The Fourth Horseman“, (season 9, episode 10). In one of the throwaway scenes, a scientist tries to affect a sample of tissue contaminated with an alien disease by exposing it to…. heavy metal music. Finally, I have found some reference to someone else who (finally) located the actual music that supposedly was exposed to the tissue in the episode that aired. It’s “Infinity” from Robert J. Walsh, Dennis Winslow and Ronn L Chick, from their Album “Deutsch Rock And Metal Angst”. An acre is actually an old Saxon term originally describing the amount of land that a yoke of oxen could plow in one day. Cool. huh? Ever heard the term “three square meals a day”? Usually used to describe a living situation in which proper meals are provided? Ever wonder where the “square” part comes from? Well this one is tough. A documentary I saw recently suggested the term originated from the British Royal navy, from about Georgian times, when complete meals were served on boats. But the plates would slide around on the table. So often the plates were placed within a square wooden tray, hence… square meal. However, there is some evidence that the term is of American origin, and actually younger (1800s) than first thought, denoting a “fair” meal, as square has been known to mean “fair” for several hundred years. When you start a new job, often a senior worker is brought in to “show you the ropes”, as in to familiarize you with the workings of the place. The term originates from the British naval tradition, when a new sailor would have to be taught the differences between the various types of rigging. There you go. Until next time!